Being a highly desirable candidate is always a good thing. And staying active in your job search and interviewing with multiple companies can yield the best chance of getting an offer. But it can also mean you find yourself in the position of receiving multiple, competing job offers at the same time. Exciting? Of course! Nerve-wracking? You bet. 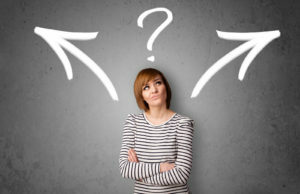 Having a decision to make is a good thing, but how do you make the right one? No one wants to make the wrong choice and miss out on a better opportunity. As a recruiter working with skilled tech professionals, I see this scenario all the time. The key to getting it right is to make sure you weigh ALL the important aspects of every offer and potential job. Here’s a top-level overview of what you should be looking at. Most people know to look at base salary, and they usually make it the very first thing they check out. Don’t get me wrong, it’s a crucial detail, but it’s not as high a priority as many candidates think at first look and it certainly doesn’t have to be a deal breaker. Think of it this way… If someone offered you $100,000 a year to take a job with minimal time off, basic benefits, no chance to grow or advance, and doing something that you’re good at but don’t enjoy would you take it over a job that paid $80,000 but had outstanding benefits, generous vacation and sick time allowances, and offered lots of opportunities to advance? The choice becomes a little clearer when you look at more information. Also, make sure to count typical bonuses, the commission structure, and the likelihood of earning them if your job makes you eligible for either. Ah yes, insurance and retirement plans. Two complex aspects of an employment package that can greatly influence the appeal of an otherwise mediocre job offer. Health insurance is the elephant in the room for many of us. We know it’s important, but just like all forms of insurance, it’s one of those things that you don’t really use until you need it. But when you DO need it, the quality of your healthcare plan will make a huge difference. You may or may not be given a full insurance package with your offer. If you aren’t, you should be able to ask for it. You should also ask for details on the monthly cost to you for a plan that is comparable to the one you currently have. I see such a wide range of costs from employers. A few offer a top shelf plan and pay 100% of the single employee cost or even a family plan. Most offer a mid- to top-tier plan, but the amount that the employer covers varies widely. The cost to you could be from $200 to $1000 per month, which makes a big difference in your net income. What is your required monthly contribution to the plan? Who does it cover (you, you and your spouse, or you and your whole family)? What does it cover and what doesn’t it cover? Does the company offer any assistance with deductible costs? Retirement plans are equally abstract. These days, most companies offer a standard 401(k) savings plan, but employer matching amounts are a great way to boost your savings for retirement without taking it out of your paycheck. Ask about the matching percentage and any criteria that the company has for eligibility. What is their annual maximum contribution or match? Do they have a history of changing the plan? For better or worse? When will you be able to start contributing? Take a look at the number of paid vacation days and sick leave. Check if the paid time off is the same every year or if you earn more the longer you work there. Many companies have a graduating plan that gives senior employees more paid time off. Some companies also allow flex time and multiple schedule choices like 9-80 or 10-80 that would give you more days off each month in exchange for longer work days. Your daily commute also has a big impact on your job satisfaction and your work/life balance. Accepting a lower salary in exchange for a 15 minute commute (versus 90 minutes, which can be common around New York City) could be a great tradeoff for you. How you feel about going to work is like the gas in the engine. And, sticking with the metaphor, corporate culture can determine the quality of that fuel. No one wants to say “yes” to 40+ hours per week in a toxic work environment. Checking out sites like GlassDoor.com can he helpful, but take the reviews with a grain of salt. Remember that disgruntled employees are much more likely to post a review than someone who is happily working at the company currently. Pay attention to the training plan the company offers for new employees and how they onboard. If they take the time to train and properly onboard new staff, it’s a good sign. Also keep an eye out during your in-person visits to the company and observe how employees act and treat one another. The ability and opportunity to advance within a company can also contribute to the overall corporate culture. Most people want room to grow and recognition for thriving and taking the initiative to go above and beyond. If there’s no chance or limited chance for advancement, it can create an air of stagnation that drives the company culture down and increases resentment and an attitude of doing ‘just enough’. As a go-getter, you’ll want to know you can grow with a company and be rewarded for your contributions in the future. A clear path to advancement is a good sign. Ask how long people typically stay in the position you’re being offered before they are eligible for advancement and what sort of jobs might be available to you once you’re ready to advance. Lastly, even if you feel like you’ve found the perfect position don’t forget to consider the company’s reputation for stability and their layoff history. Is the turnover high for the industry average? Do they spend a lot of time and money to train people and then make a concerted effort to keep their employees happy and on board? Long-tenured employees are a good sign. If it’s a startup, that may not be something that’s as easy to evaluate but you can consider if you’ll be working for a serial entrepreneur and how their previous ventures worked out. This list should be seen as a solid starting point for evaluating competing job offers. There may be aspects of a position that are important to you but not mentioned above. Or you may be wondering how someone gets all the information they need to make an informed decision – not every company supplies all the details. The answer is, you work with a qualified recruiter. Someone who knows the company, knows what you’re looking for, and can help find the right match and help you evaluate multiple worthwhile offers. If you’re a skilled IT professional looking for the next awesome job and you want to be considered by quality companies with good reputations, contact our team at Coppertree Staffing today. We have advertised and non-advertised positions with some of the best companies in the industry and chances are, we’ve got a match for you.